"How do I find my Facebook 'Page ID? ', I hear you ask...! 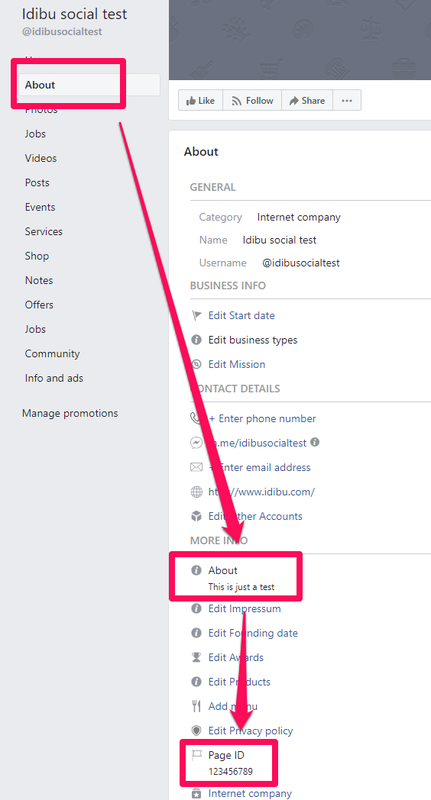 Just log into Facebook as an administrator of your business page, click 'About', and you'll see the Page ID towards the bottom. You'll need the Page ID to connect your Facebook account, as per this article.